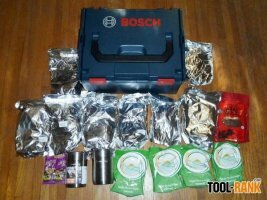 So, you have a bunch of tools you want to organize using Bosch's Click & Go L-BOXX system but you are not sure what you need. 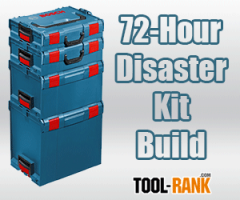 Bosch has a new online configuration tool that might help you out. Are you prepared to handle the aftermath of a natural disaster? The Red Cross, FEMA, and a countless number of other groups and agencies say that you should have at least a 3-day (72-hour) supply of food, water, and other supplies you might need to help you get through a disaster.